Rojas County beaches are a great recreational place to relax. Beaches can not just indulge in sun and sea temptation, but also engage in various sporting activities such as beach volleyball, football. Authorised sites can leave the water cycles or to engage in kite board, as well as pursuing a variety of other sporting activities. Roja beach have a great playground for a children. 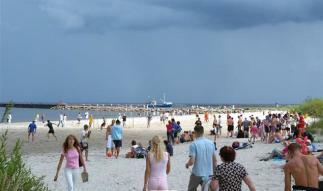 The beach is equipped with toilets, changing rooms, pedestrian wooden walkway, also benches. Offers different types of visits with the yacht "Savina" or "Breezy". All routes need to be co-ordinated by jacht captain before. 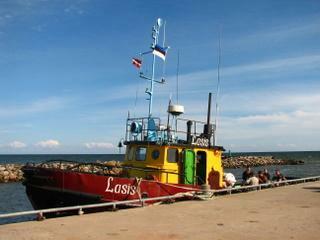 The yacht can take different length routes across the Baltic Sea. 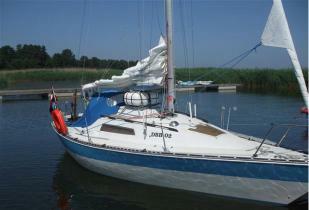 On a yacht at the same time can be 6 people, jacht available with all services (wc, grill, accommodation facilities, etc.). 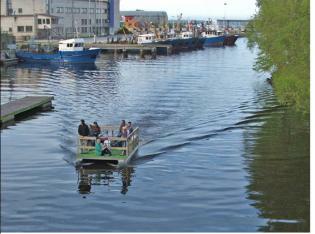 Rojas River is specially adapted for boating. Along the forest road along the river can go pretty walks listening to bird song, and probably also notice a wild beast, or river dwellers. The river area is very diverse - a large variety of plants, trees, housing, beaver, spring - river lamprey are spawning, in late autumn – there is salmon spawning. Surrounding forest berries and mushrooms diversity. River fishing is allowed in special period of months. 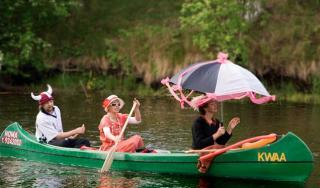 Canoe rental - 4. Seats in total: 15 people. Price: 3people boat-12.00 Ls/for a day; 4people boats – 15.00Ls/for a day. Local enthusiasts built a pontoon powered by the engine, and offers tours Roja river with the opportunity to observe nature and animals. There is a place for 8 people on the pontoon. On the pontoon is a possibility to grill meat. Duration depends on the customer wishes. Golf area has six holes. 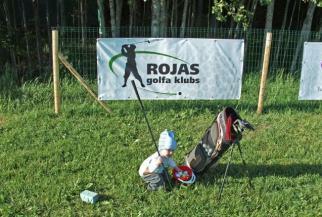 Possible golf equipment, coach and instructor hire. Seasonal cards. Competitions. Address: "Ģipka Lici" Pūrciems, Rojas county. Opposite Pūrciems White Dune. Farm can be viewed in a variety of animals as cows, horses, ponies, sheep, goats, rabbits and a variety of poultry. 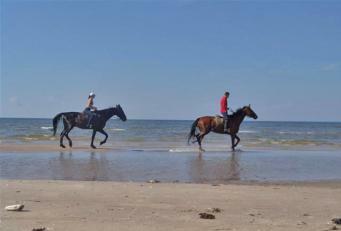 Offers horse riding. Book an appointment in advance through Hotel 'Mare' administration. 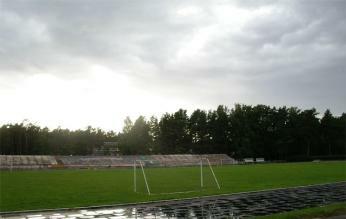 Stadium of Roja is one of the best in all north Kurzeme. Similar stadiums are located in Ventspils, Jūrmala and Kandava. In the year 2009 it was renovated. Fully renovated spectator tribune, modern space for a sportsmans and an attendance. Stadium is large-scale with a grass, available for a football games. There is a running track round the stadium. In the territory there is a possibility to do sport for a self pleasure or professionally.